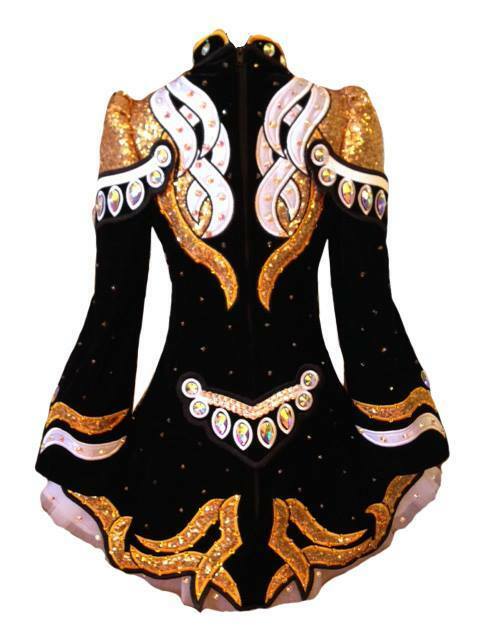 Stunning custom-made “Kerry Designs” Championship dress. 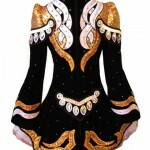 It’s made of striking black velvet, rich gold sequin fabric, and dazzling Swarovski crystals. 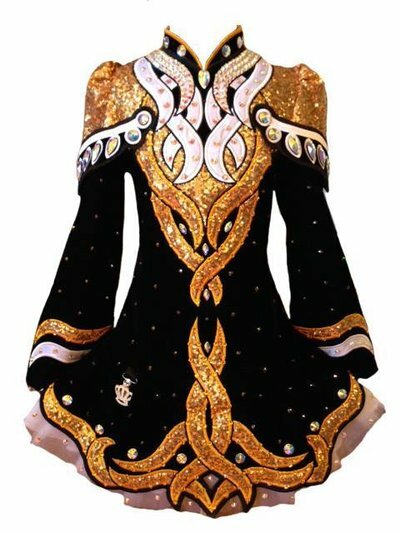 This dress is absolutely BEAUTIFUL on stage! Measurements are approximate and taken from the outside of the dress. Asking Price: $1500 USD. Shipping costs are not included in the asking price. Sale is final.